Come swim at our spectacular Indoor Water Park - hands-down the biggest all-season water park in Greater Boston! We'll teach your kids to love the water with swim lessons for all ages and abilities from infants to adolescents. We also offer adult and private classes, along with CPR and lifeguard certification. For a challenging, innovative workout, try our Aqua Boogie, Aqua Zumba, and Senior Water Aerobics. Our Aquatics Department, complete with American Red Cross Certified instructors and coaches are dedicated to providing quality classes and training no matter your age or ability. The Aqua Aerobics classes are available to all members and day pass holders for strength, cardio, endurance, flexibility, and agility. This class begins your child's “on-your-own” experiences in the water and is the first class without the parent in the water. Because of this, class sizes are kept small with only 4-5 students. Preschool 1 students will learn basic swimming readiness such as bubble blowing, floating w/support, using barbells & noodles. All levels will include water safety topics. This class begins your child's “on-your-own” experiences in the water and is the first class without the parent in the water. Because of this, class sizes are kept small with only 4-5 students. Preschool 2 students will (in addition) practice underwater exploration, kicking with face in water. All levels will include water safety topics. This class begins your child's “on-your-own” experiences in the water and is the first class without the parent in the water. Because of this, class sizes are kept small with only 4-5 students.Preschool 3 will (in addition) learn treading & floating without support. All levels will include water safety topics. Level 1 will help students feel comfortable in the water and learn elementary aquatic skills that he/she will build on. Topics covered at this level include: Floating with support, underwater exploration, kicking with support, entering and exiting the water safely and wearing a lifejacket. Level 2 will expand and develop fundamental skills and marks the beginning of true locomotion skills. Topics covered at this level include: floating without support and recover to a vertical position, underwater exploration, gliding, swimming on front and back, treading water and water safety. Prerequisite: Level 1 Skill. Level 3 will give students an opportunity to build on the skills introduced in Level 2 through additional practice. Additional topics covered in this level include: front and back crawl, breast stroke, butterfly kick, intro to dives and water safety. Prerequisite: Level 2 skills. Level 4 will provide students an opportunity to develop confidence in the skills they have already learned and improve on other aquatic skills through building endurance. Additional topics covered in this level include: Breaststroke, butterfly, elementary backstroke, swimming underwater, open turns, dives and water safety. Prerequisite: Level 3 skills. Available iThis course is designed for the true beginner, and all about obtaining comfort in the water. The focus will be on floating, bubbles, kicking, under water exploration and water safety. Pre-requisite: Needs to be willing to stand in 3.5 feet of water and get face wet. This course is designed for the true beginner and all about obtaining comfort in the water. The focus will be on floating, bubbles, kicking, underwater exploration and water safety. Pre-requisite: Needs to be willing to stand in 3.5 feet of water and get face wet. PRIVATE LESSONS Co-ed I All Ages I Call to schedule your session. Learn to swim yourself or improve your child's stroke with a student instructor ratio of 1 to 1! HOME SCHOOL LESSONS Co-ed I All Ages I Call to schedule your session. Bring your classroom, or a group of other students to all lern to swim together! Classes run Monday's April 22nd - June 10. Sign-up for swim lessons with your friends. If the lesson is for your child, sign them up with a friend who has similar skills and goals. Prices are per person. Each participant must purchase the same number of lessons. LATE POLICY: - Swimming lesson participants who arrive more than 10 min late will not be allowed to attend class and will not be extended the option of a make-up lesson. Levels 2- 6 require an evaluation to ensure your child is in the correct level. The last day of lessons will be safety & certificate day. 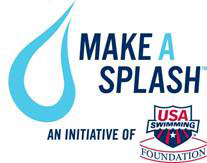 Participants will receive a swim lesson for the first half of the class and the last half will be comprised of water safety rules and lifeguarding skills. On this day the parents will also receive a progress report stating which level they need to register for and what skills the swimmer needs to improve on as well as mentioning the skills they already improved on. An ideal class will have 10 swimmers with at least two instructors. 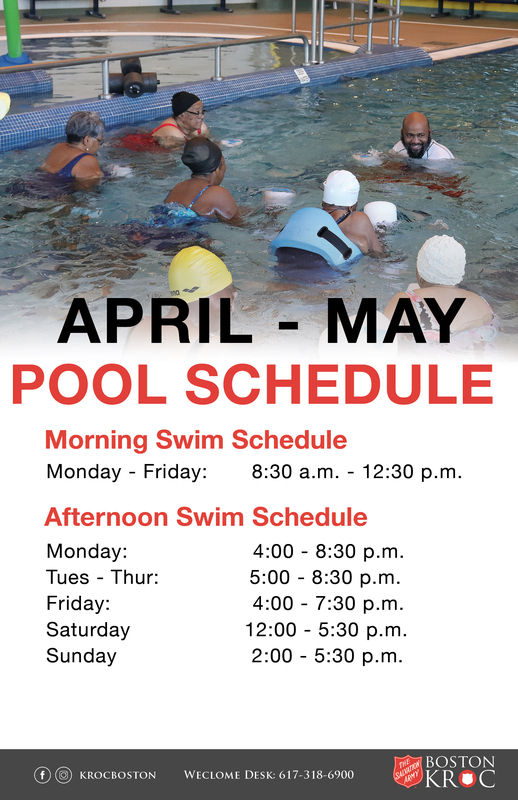 The Salvation Army Kroc Center’s ultimate goal is for upon completion of the 6 levels of lessons participants will be ready to swim competitively. Also, introducing lifeguarding skills at a young age will allow the swimmers to be safe while at camps like Camp Wonderland as well as become potential new employees. A lot of times the place that you learned how to swim is where you get your first lifeguarding job. The sessions are for two week periods. Private lessons will be held on any day including weekends. Levels 3 - 6 require an evaluation to ensure your child is in the correct level. The last day of lessons will be safety day. They will recieve a swim lesson for the first half of the class and the last half will be comprised of water safety rules and lifeguarding skills. On this day the parents will also receive a progress report stating which level they need to register for and what skills the swimmer needs to improve on as well as mentioning the skills they already improved on. There will be a 5-10 min gap between each lesson. An ideal class will have 8-10 swimmers with at least two instructors. Drop-in Aqua Aerobics classes are a perfect way to learn a new skill, make friends or improve your fitness. Now offering a variety of activities, just pick up a Class Pass at the Welcome Desk a half hour before the class start time to secure your position in class. Class times are subject to change. Stay updated daily by checking our calendar. 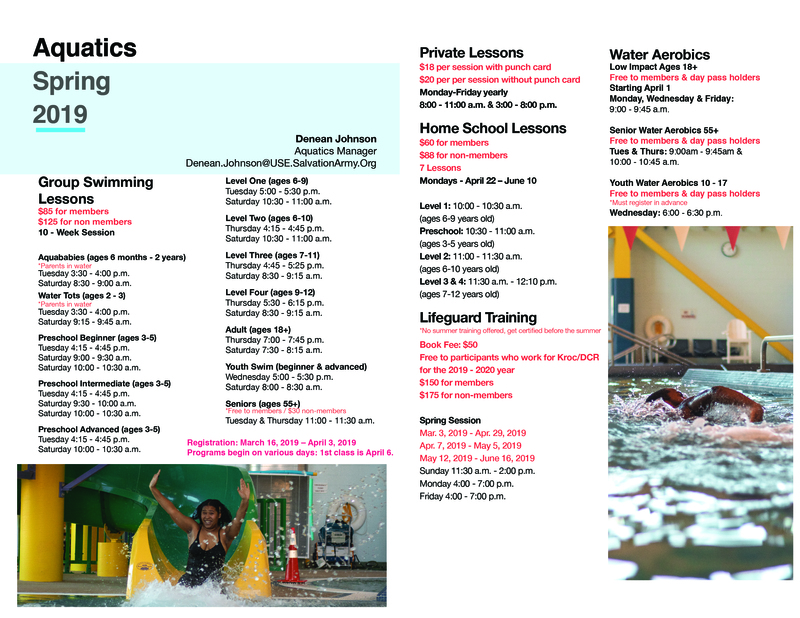 For questions about Specialty Aquatics please contact Denean Johnson at 617.318.6973 or email Denean.Johnson@use.SalvationArmy.org. 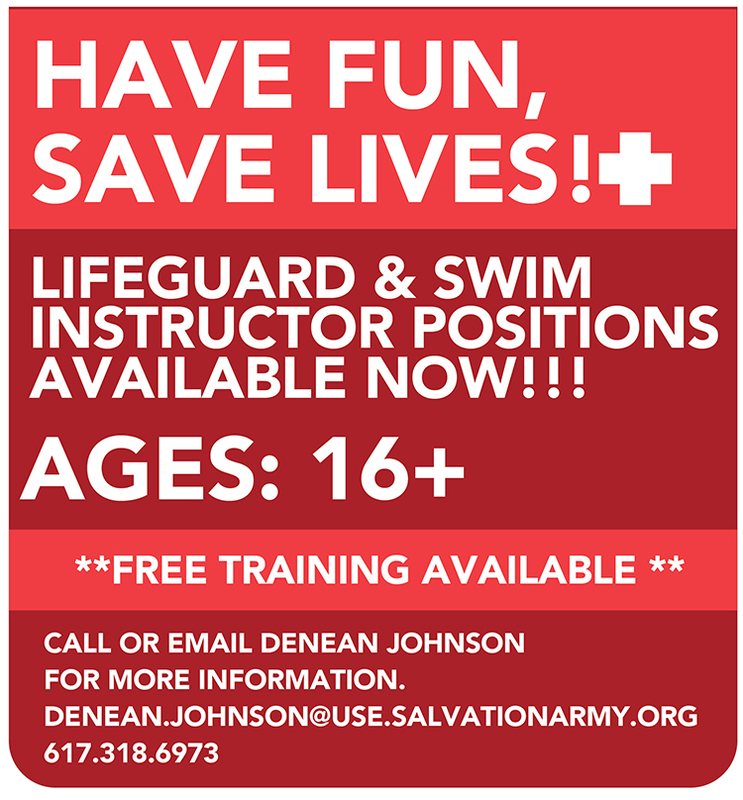 Call the Aquatics Department at 617.318.6973 or email the Aquatics Department Denean Johnson at Denean.Johnson@use.SalvationArmy.org.